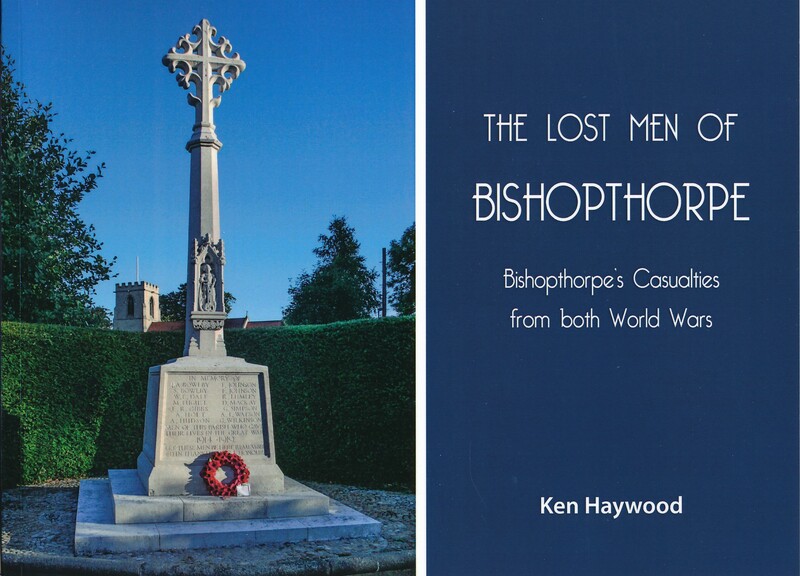 Since 2014, Ken Haywood has posted items on Bishopthorpe.net commemorating the Bishopthorpe men who died with the Armed Forces in the First World War. These pieces, which were posted on the day marking the centenary of their deaths, gave basic information about the men, where they were buried, and the immediate circumstances of how they died. This information came from the considerable research which Ken has carried out for his book on the subject. It is now possible to read much more of the human stories behind those basic facts. 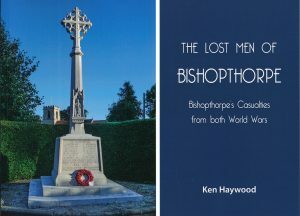 It will also be possible to hear of the men who died in the Second World War with the publication of Ken’s book, “The Lost Men of Bishopthorpe: Bishopthorpe’s Casualties from both World Wars”. Many of these men are commemorated on Bishopthorpe’s War Memorial, but the book also gives the details of other men from the village who made the supreme sacrifice, but whose names do not appear on the Memorial. Those included in the book are a cross section of the adult male village population of military age and range across all sections of society at the time of the World Wars. The book is fully-illustrated and priced at £10. Any profits will be donated to the War Memorials Trust.